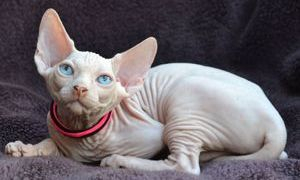 I am a passionate campaigner for HCM scanning of all Sphynx to try to work on lessening the problem in this amazing breed. I truly believe that all breeders should be doing this. I have always be passionate about hcm scanning so this certainly got in the way of finding nice (any) breeding cats. The years passed and the desire never went away just got stronger. last year I welcomed a boy and girl into my home and they are amazing but that isn't so much what todays post is about. Late last year I had contact with a breeder, I looked at getting a boy from her but at the last minute I decided against it due to a few things, one being that his parents weren't scanned and the risk was to high base on some of his pedigree for my liking. I did talk to her about buying a girl from her later but nothing seemed to come of it and I sent one last text to her saying I was still interested to which I got a reply that she was heavily pregnant if I wanted to come and meet her. I knew this girl had had a litter just 5 months before so I just didn't want to leave her there, I drove there the next day to see her looking like she had swallowed a basket ball. She also had another girl with her young baby who was tiny and a Male cat that we had talked about, I really didn't want the boy in the sense that I did not need him but she told me she would only sell them as a pair and would not just let her go so it was all or nothing. When it became clear to me that there was a good chance that more close matings would happen I decided that I could not leave the other girl, this would mean there would be no more breeding for this lady, very nice person just not really up to date with the right way to do things. So after borrowing lots of money off my daughter before heading out we gave her every dollar I had in my hand bag (it was a huge amount of dollars) and we headed off home with One boy, One girl with her baby that I honestly wasn't sure wasn't going to make it and one very pregnant girl. We snuck them inside when I got home so the other half didn't see them and life settled down, 3 days later this most affectionate mummy cat who was amazing for coping with such a huge change had her 6 babies, it took a long time and I gave her lots of calcium to try to make sure she didn't end up sick from her body being overworked, after probably 7 hours her last baby was born and all way good. a week later things went a bit pear shaped and she spent the night at the vet as she was dehydrated, her milk never really recovered and I have spent the last 5 weeks bottle feeding and trying to teach these bubs to eat wet food. Today was D day, this was the biggest concern for me, HCM scans, I knew there was a chance any of them could test positive but I made my decision while I was at the breeders that the cats needed to be put first and even if someone scanned positive I had done the right thing by the cats and by the breed by stopping them being bred, that cycle would stop with me here. Unfortunately today was not the best day, the two girls scanned clear which was wonderful but the boy has scanned positive. He of course will be desexed but after talking to the cardiologist again this afternoon she said that nothing needs to happen medication wise until if/when he shows any signs so this part I was happy to hear as I have never really looked into the treatment side of Hcm, after he is desexed I will look for a pet home for him. she said it could take a long time to show any signs and he is a healthy cat at this stage, she said he has moderate hcm. So over the next few days I need to work out a plan for the babies I have and what I think is fair when it comes to advertising them, these kittens of course would be no different to buying from any of the breeders who doesn't scan as the parents of those kittens could certainly have hcm and no one knows. There is also another person who has white kittens from this boy just a little older and I will let her know and hopefully she will pass that info on to her buyers. So this has been my day and it is finally time for me to come out of the closet as Sempre Sphynx, Registered with NSW CFA and a passionate Sphynx lover, they really do change your life. 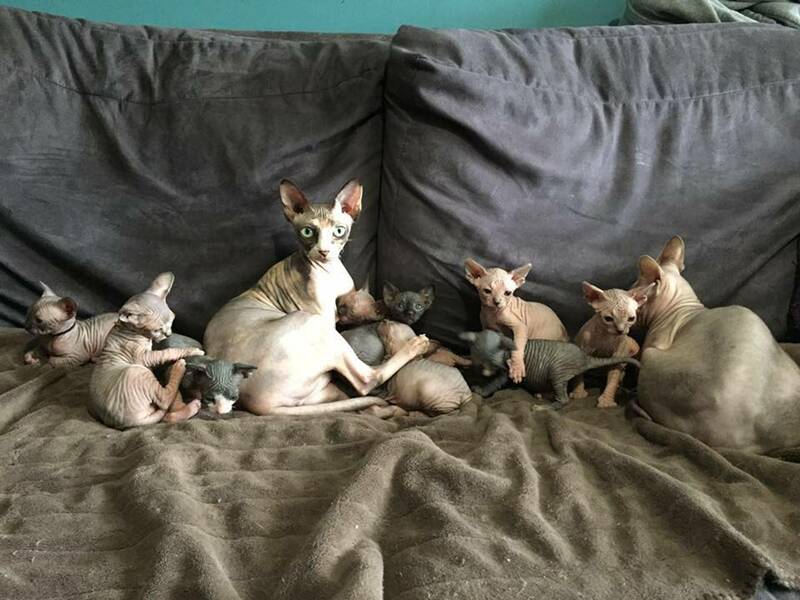 We do have a Facebook page as well that you can see photos on just search Sempre Sphynx.